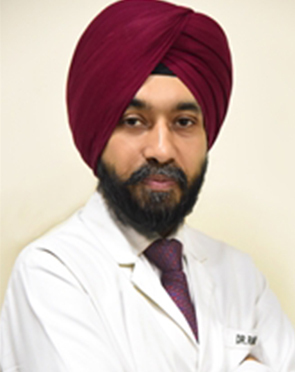 Dr. Singh after doing his MD from Rajasthan University has been trained extensively in the management of cancer patients at the prestigious Tata Memorial Hospital (TMH), Mumbai. He did his DM (Medical Oncology) and then worked as a consultant at TMH, Mumbai with the solid tumor-working group before joining Max group of hospitals. He worked with Max Healthcare for five years. Thereafter he was heading the department of Medical Oncology at HCG cancer center, Delhi before joining ARTEMIS Hospitals, Gurgoan. He has vast experience in managing solid and hemato-lymphoid tumors with a special interest in breast, lung and gastrointestinal cancers. Dr. Singh has more than 30 publications in national and international journals of high impact factor. He has also attended and presented various scientific papers in national and international journals. Dr. Singh performs 22 different procedures. Click on a procedure name to see more details and to view doctors for that specialty. 4.4 average based on 58 reviews.